Universally Accessible Home Built For Customer — Riverview Homes, Inc.
Riverview Homes, Inc. (RHI), a Vandergrift, PA based builder of both modular and manufactured housing has just completed their most extensive universally accessible home to date. Many of the manufacturers represented by RHI offer universally accessible options such as lower base cabinets, raised receptacles, roll under sinks, vinyl or wood flooring in lieu of carpet, roll in showers, grab bars, etc. "In most cases, people are unaware that we can offer these options," says John Fanelli, RHI Vice President. In the past, options such as these did not exist. Since building a manufactured or modular home can now be somewhat customizable, it makes it easier for the manufacturers to offer these options to customers. Mr. Fanelli went on to say, "We have put some of these options in homes before, but had never done an entire home with this many options." Amy Gestner, the sales consultant for this project, has been working diligently with our customer and our manufacturer, Pleasant Valley, to make sure most of the options available were included. Mr. Fanelli says, "We were so excited to help build this home for the customer, and it turned out great!" 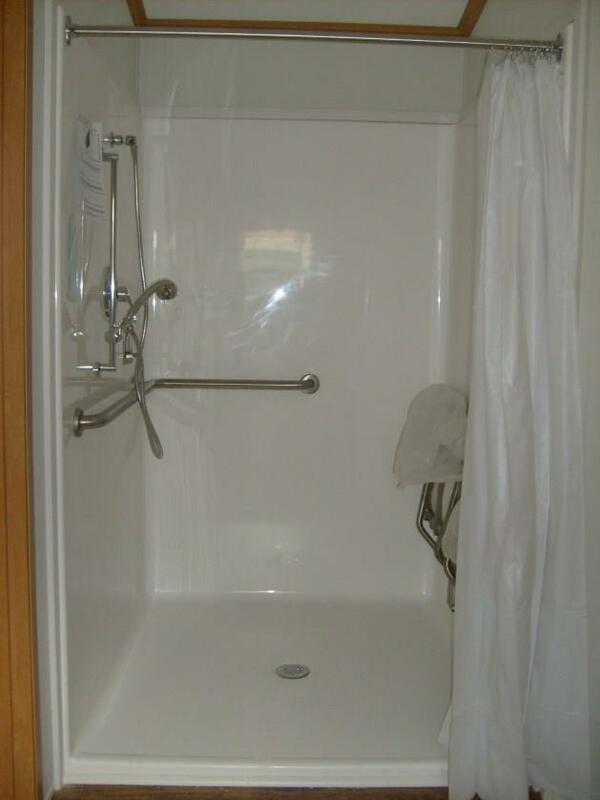 Although not ADA compliant, the custom ordered Pleasant Valley manufactured home has many optional features to make life more comfortable for it's new owner. Some of the options that were placed in this new home include base cabinets lowered to 30", overhead cabinets lowered 4", lower wall mount oven, drop in cook top range, roll under kitchen & bathroom sinks, vinyl floor throughout, 36" interior doors, roll in 50 x 50 shower with fold up seat, and elongated toilets with grab bars.